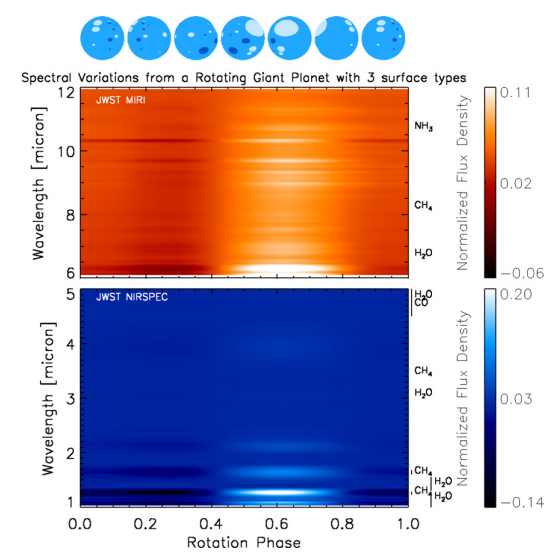 My first immersion into exoplanet research was working on planet characterization using Adaptive Optics techniques with Prof. Daniel Apai. My current research interests are in discovery and characterization of transiting circumbinary planets (CBPs) using the data from the Kepler mission. Life (can the concept of habitability be extended beyond single-star systems). Almost 30 years ago Borucki and Summers (1984) proposed monitoring eclipsing binary (EB) systems to search for planets: the nearly edge-on inclination of the EB significantly increases the probability of planetary transits. At the time it was not practical to monitor targets continuously over many days -- the circumbinary planet (CBP) Kepler-16b, for example has an orbital period of ~230 days! CBPs have long been discussed by the science fiction community, yet only recently have such systems been actually discovered by astronomers. The first direct evidence of a Saturn-sized, transiting CBP (Kepler-16b) was announced by Doyle et al. in 2011. Another six discoveries promptly followed suit, including the first Neptune-size CBP (Orosz et al, 2012a), a multi-planet binary system (Kepler 47bc, Orosz et al., 2012b) and a CBP in a quadruple stellar system (Kepler-64b). The latter was simultaneously announced by our team and by Planet Hunters. A section of the light curve of Kepler-64b, exhibiting many interesting features (EB signal, CBP transit, systematic effects), is shown in Figure 1. As traditional transit-searching methods are not optimized for the peculiar nature of CBP's transits (varying times, durations and depths), we developed a custom-built algorithm tailored to finding individual transits. The quest to find planets outside the Solar System is inherently multidirectional. Depending on the targets being pursued, it involves a suite of different detection methods, and a vast armada of instruments spread across the Earth and in space, all actively competing and also complementing each other. While the physical size of the planets discovered by the Kepler mission can be deduced, and the mass and temperature of a small subset of them can be estimated, most of their host stars are too faint and too far away to be followed-up by current instruments, leaving us hard-pressed to study their atmospheric structure and composition. Such is not the case, however, for extrasolar planets that are close enough (and bright too) to be amenable for photometric and spectroscopic observations. We argue ( Kostov and Apai, 2013), that the next-generation of adaptive-optics instruments (some already in the process of development, i.e. VLT/SPHERE and Gemini/GPI) will be capable of characterizing the atmospheric appearance and composition of directly-imaged, giant extrasolar planets. This can be achieved through observations of rotationally-modulated photometric and spectroscopic variations (simulations for the capabilities of JWST MIRI and NIRSPEC are showed in Figure 2) caused by patchy, cloudy atmospheres (like Jupiter's). Building on the legacy of Kepler, future planet-hunting missions like TESS will provide an abundance of nearby planets, some of which could be appropriate targets for the observations and analysis suggested in our work. Stay tuned for 2017 (nominal TESS launch date)!